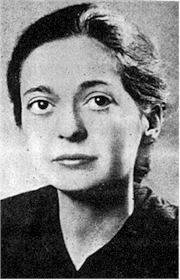 Joy Davidman was born in New York City to Jewish Polish-Ukrainian immigrant parents. She was considered a child prodigy, finishing high school at age 14 and earning a master's degree from Columbia University in English literature at age 20. After a brief career as a teacher, she became a reader and editor at Poetry Magazine. For her book of poems, Letters to a Comrade, she won the Yale Series of Younger Poets Competition in 1938 and the Russell Loines Award for Poetry in 1939. She converted to Christianity in the 1940s. Following a divorce from her first husband, the self-described "Anglomaniac" Davidman went to England in 1953 with her two sons. She had previously met C.S. Lewis, who wrote the preface for her book Smoke on the Mountain (1954); they married in 1956. Their relationship was the subject of Shadowlands, a BBC TV movie, a stage play, and a film. Joy Davidman is currently considered a "single author." If one or more works are by a distinct, homonymous authors, go ahead and split the author. Joy Davidman is composed of 3 names. You can examine and separate out names.